Islamabad: Pakistan People’s Party (PPP) co-Chairman Asif Ali Zardari on Wednesday condoled the death of sister of Dawn News’ Bureau Chief Mohammad Bilal. In a message, Zardari expressed sorrow and grief on the death of sister of Mohammad Bilal and prayed for the eternal peace of the departed soul. 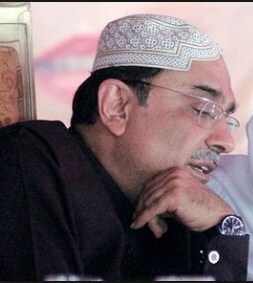 Zardari also condoled the death of Justice (retd) Deedar Ali Shah. The former President paid tributes to the services of Justice Shah for constitution and justice which will be remembered for a long time to come.